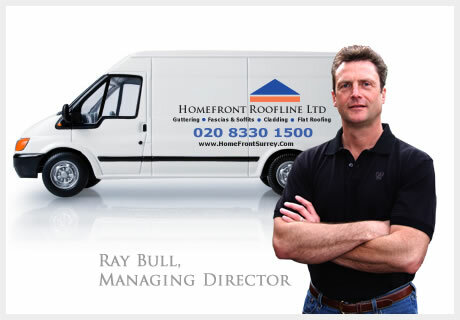 The Homefront Roofline Ltd of Surrey, specialists in the installation and repair of guttering. Why choose a PVC or Seamless Aluminium Guttering system? Seamless Aluminium and PVC guttering are both excellent systems, but which solution should you buy and why? 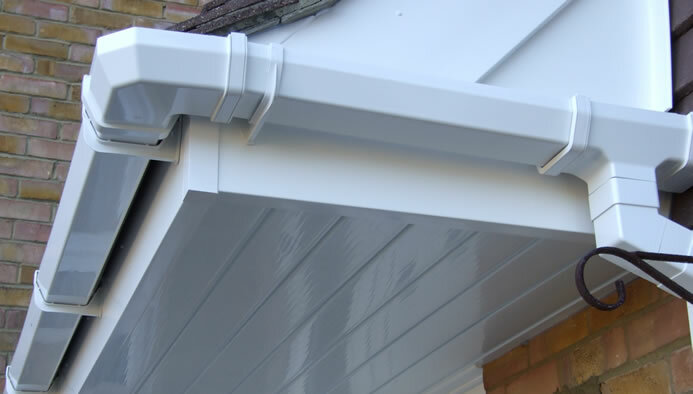 PVC Guttering comes with a 10-year guarantee. It is low-cost, attractive and reliable, and is available in many colours and shape profiles. 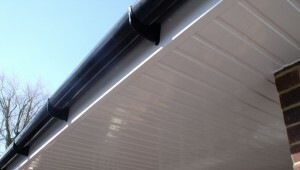 Seamless Aluminium Guttering has a 30-year guarantee. It is available in lengths of up to 30-meters, and uses hidden fixings to provide a sleek, modern appearance. 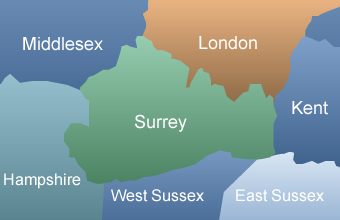 Our climate is changing and the UK Met Office is urging us to prepare for more rain and floods. 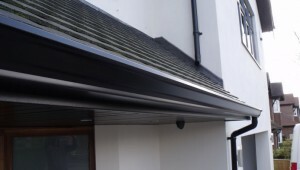 For this reason we recommend deepflow guttering profiles as standard. 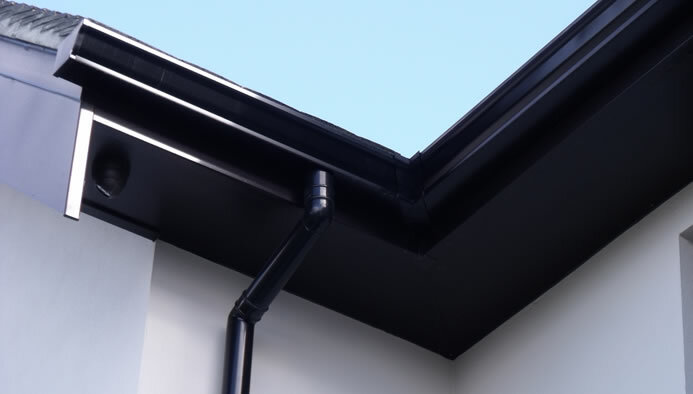 Deepflow guttering is a fraction more expensive but offers significant improvements in terms of flow-rates and resilience to blocking. 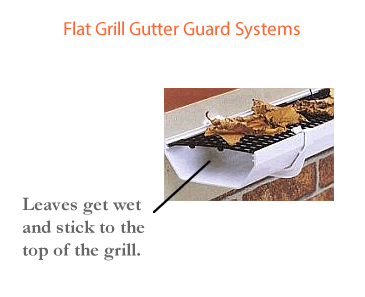 Flat grill leaf-guard systems are designed to trap leaves before they get into the gutter. Wet leaves fall onto the guard and are expected to dry out and blow away. In practice, wet leaves often tend to accumulate on-top of the guard forming a barrier that prevents water from getting into the gutter. Raised grill leaf-guard systems are designed to overcome this issue. 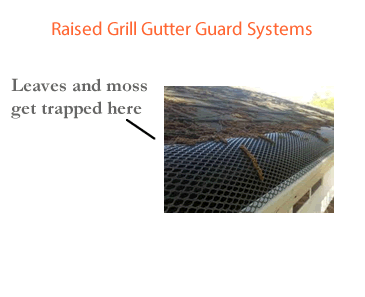 In practice, leaves and moss often get trapped between the guard and the roof tiles. This can look unsightly and prevent the gutter from working properly. 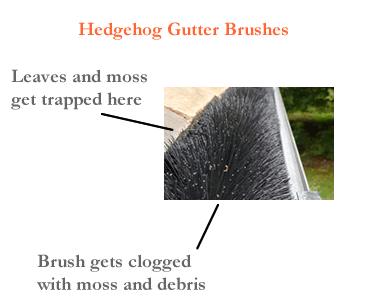 Hedgehog gutter brush leaf-guard systems are also prone to the issues described above. In addition, they can become clogged and start to look unsightly over time.